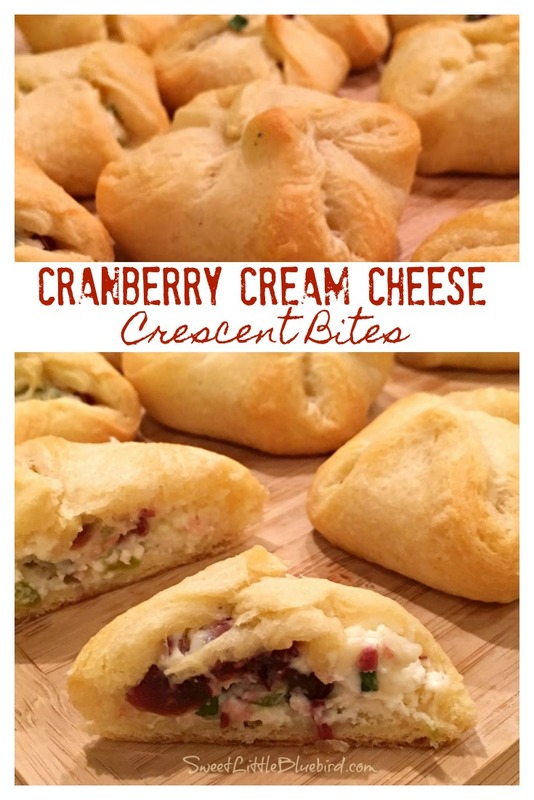 Today I am sharing an awesome appetizer my best friend, Sandi, made over Thanksgiving – Cranberry-Cream Cheese Crescent Bites! Only five ingredients! 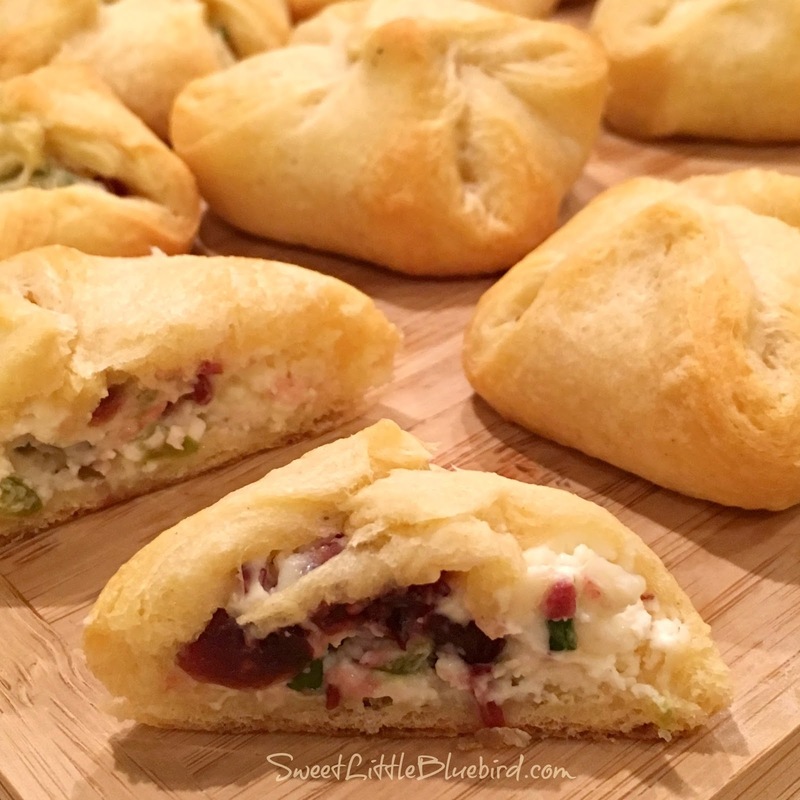 A delicious one-bite cranberry, jalapeno, chives, cream cheese stuffed crescent appetizer, baked to perfection, that will have family and friends asking for more and begging for the recipe! Best of all, they’re a cinch to make, calling for only five simple ingredients! 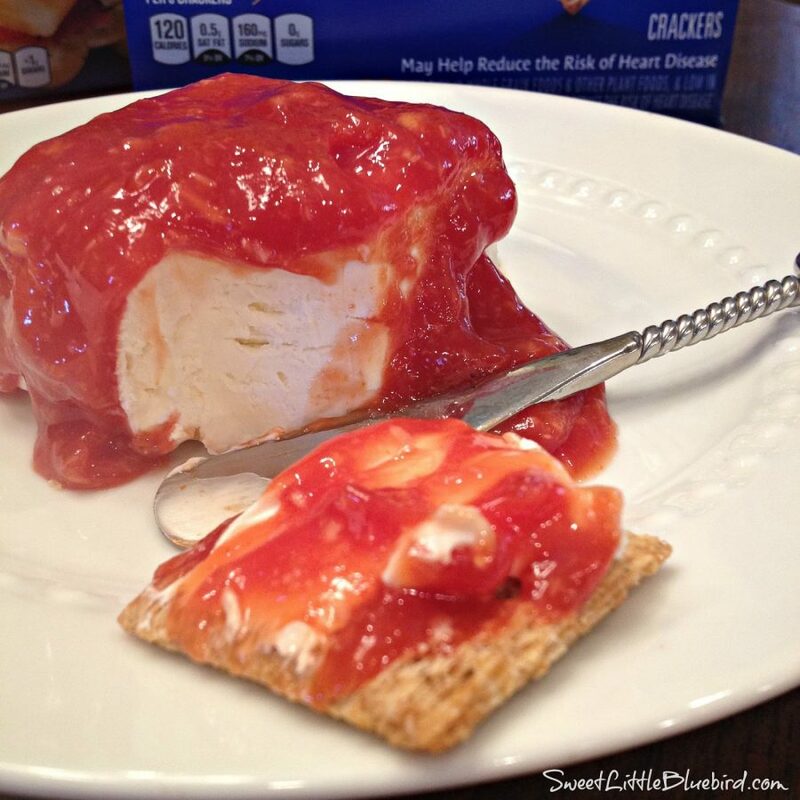 This appetizer is wonderful and so easy to make. 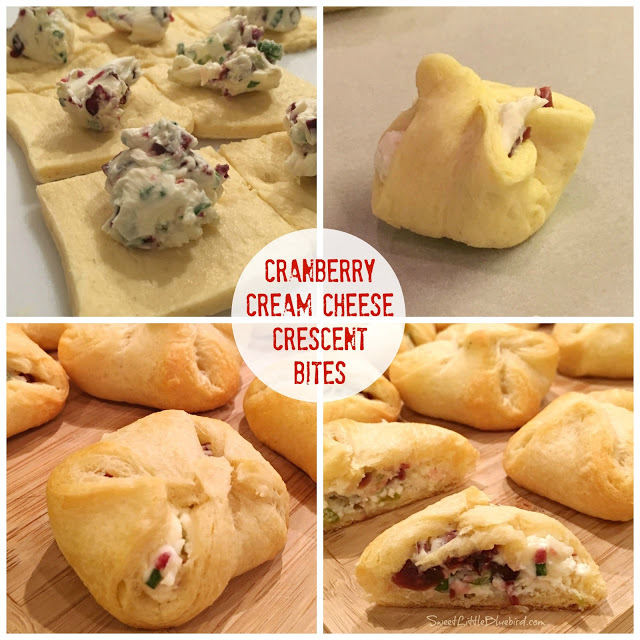 I won’t say how many of these little bites of deliciousness I devoured…let’s just say, you’ll want to double the recipe, they are addictive! For this appetizer you only need five ingredients – cream cheese, chopped dried cranberries, fresh chopped chives, finely seeded and diced jalapeno chile and one can of refrigerated crescent dough sheet or crescent dinner rolls….that’s it! The cream cheese filling with the jalapeno, cranberries and chives is perfection. The flavors go so well together. 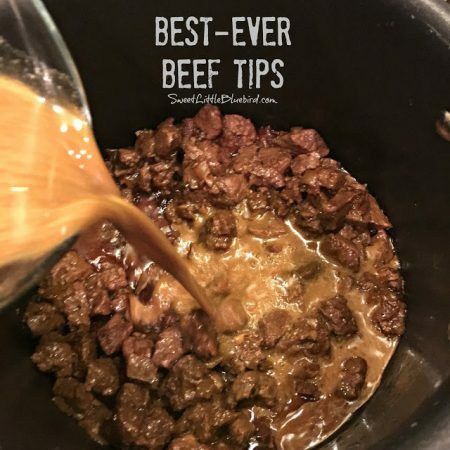 Your guests will be asking for the recipe, just like me. 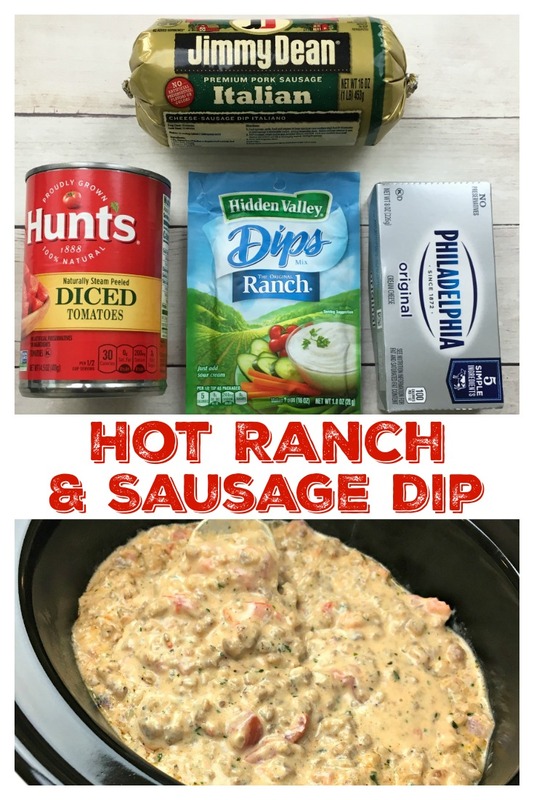 NOTE: Sandi found this winning recipe on Pillsbury.com. When I share a tried & true recipe, I always credit the source and often will send you to the site for the directions. All you need to do is click on “Print Recipe” below and it will take you to the full recipe. One extra step for an awesome recipe, that’s it! It’s important to me to share the love and send you to the original source. *If you do not have access to crescent rolls, head to The Brown Eyed Baker for a homemade crescent rolls recipe. 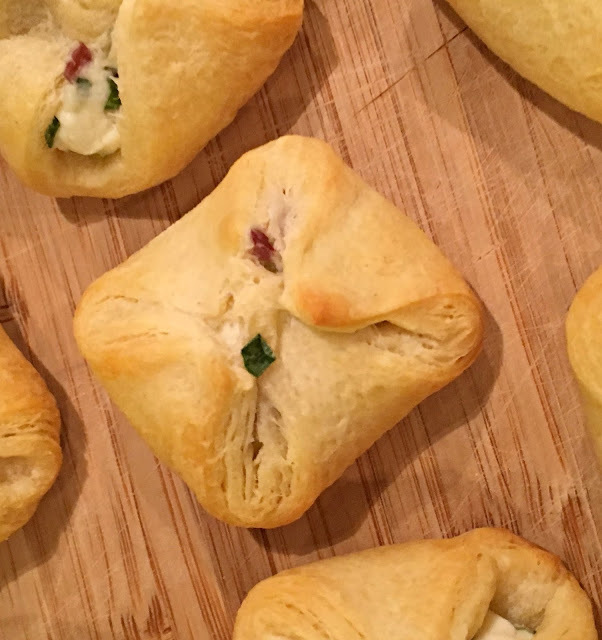 For the directions to this awesome recipe, please head to Pillsbury. 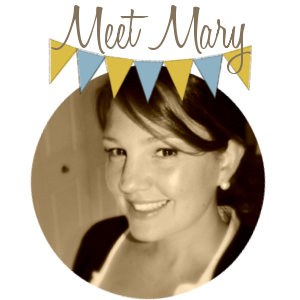 Today’s recipe share is more sentimental than anything. It’s old school and so good. A big ol’ block of cream cheese covered with spicy cocktail sauce. Show of hands…how many of you grew up with this and love it? This appetizer takes about two minutes to throw together. It isn’t fancy and won’t be winning a beauty contest or any fancy prizes, but dang it’s good and a winner in my book. 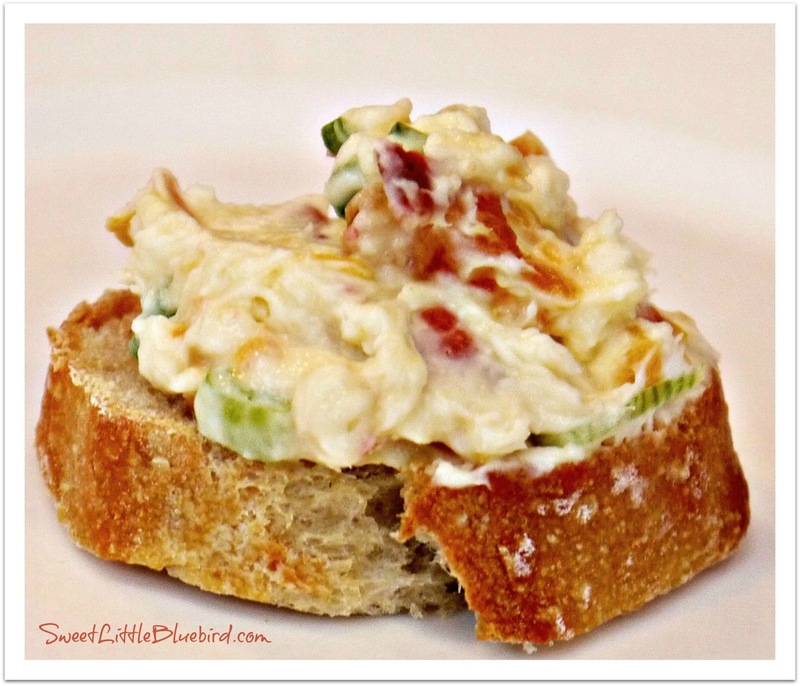 Now if you want to get all fancy, you can spread the cream cheese in a bowl or on a plate and add some tiny shrimp or crab meat. Me, I like to keep it simple – just cream cheese and cocktail sauce. I’ve been eating this since I can remember (born in the 70’s) and plan to continue the tradition for decades to come. Place cream cheese on a plate and pour cocktail sauce on top. 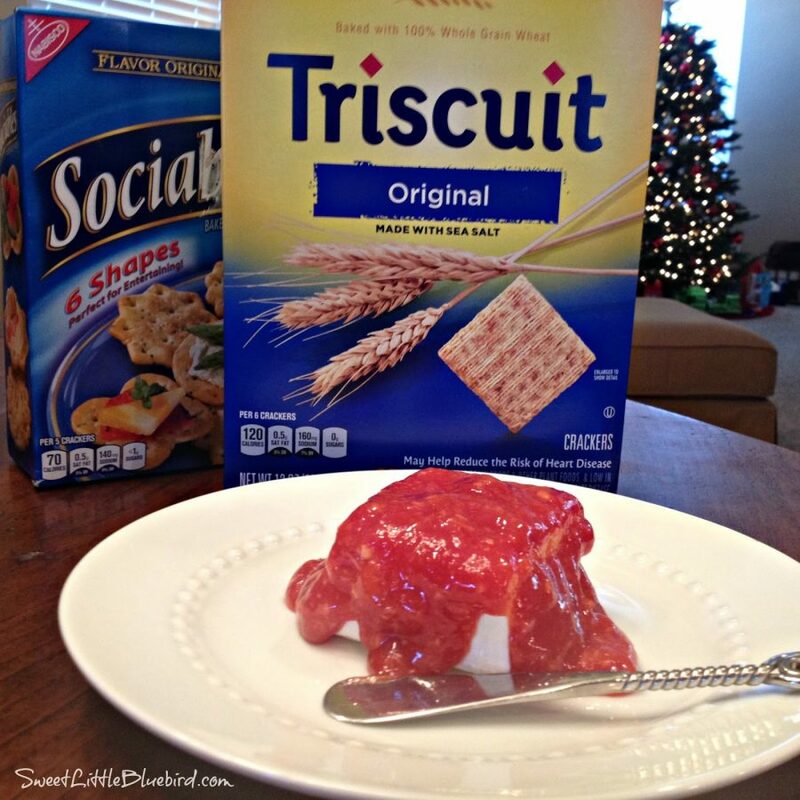 Serve chilled with your favorite crackers. Enjoy! Add shrimp (the small ones in a can – drain) or add crab meat (also in can – drain). Place cream cheese on plate or in a bowl, spread it out. Top with shrimp or crab, then pour cocktail sauce on top. Fresh squeezed lemon is great. Enjoy! A Family Feast makes their cocktail sauce the same way I do, head here for the simple recipe: HOMEMADE COCKTAIL SAUCE by A FAMILY FEAST. 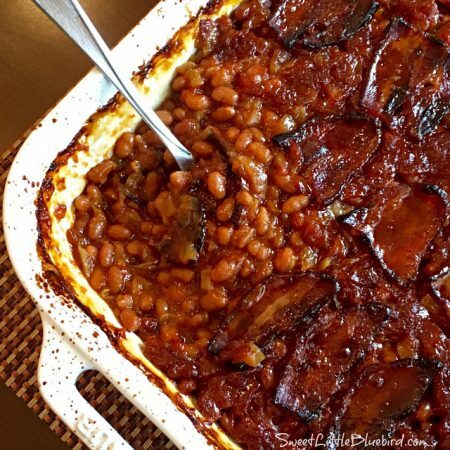 This week’s tried and true is a great recipe to have on hand for get-togethers. Simple to make, so good! 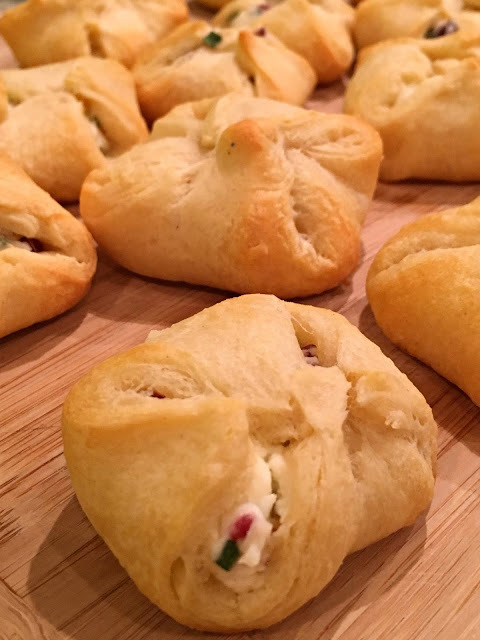 Made with just a few ingredients – cream cheese, sour cream, salsa and flour tortillas. These Fiesta Roll-Ups are sure to be a hit at your next gathering! 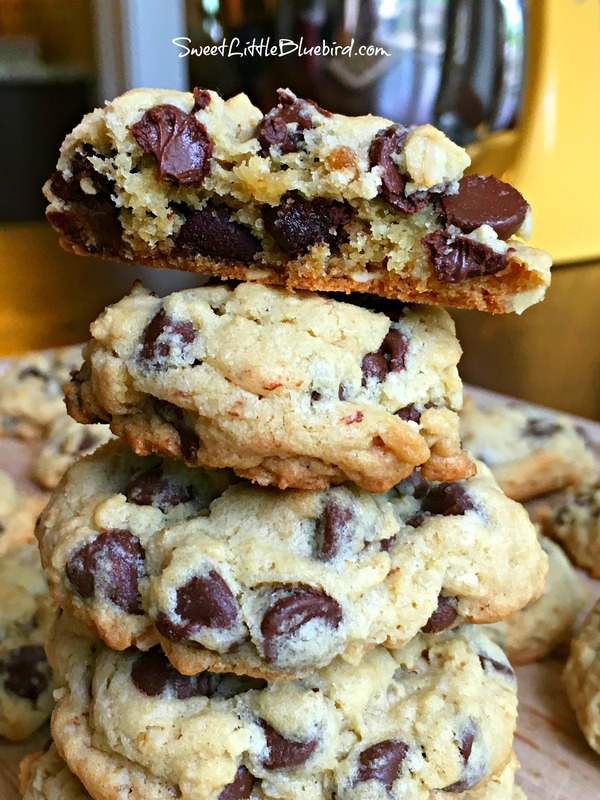 This recipe is from my good friend, Stacey, she has been making them for years. 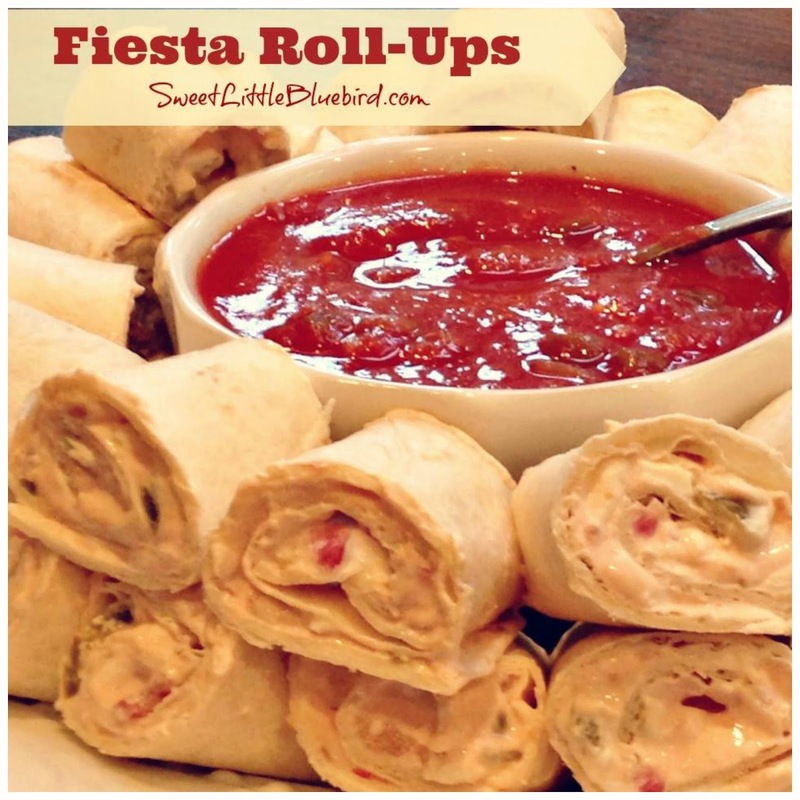 Of all the yummy things she makes, these roll-ups have always been one of my favorites! The recipe takes just a few ingredients and makes a lot (great for parties). They can also be made several hours in advance to save time. 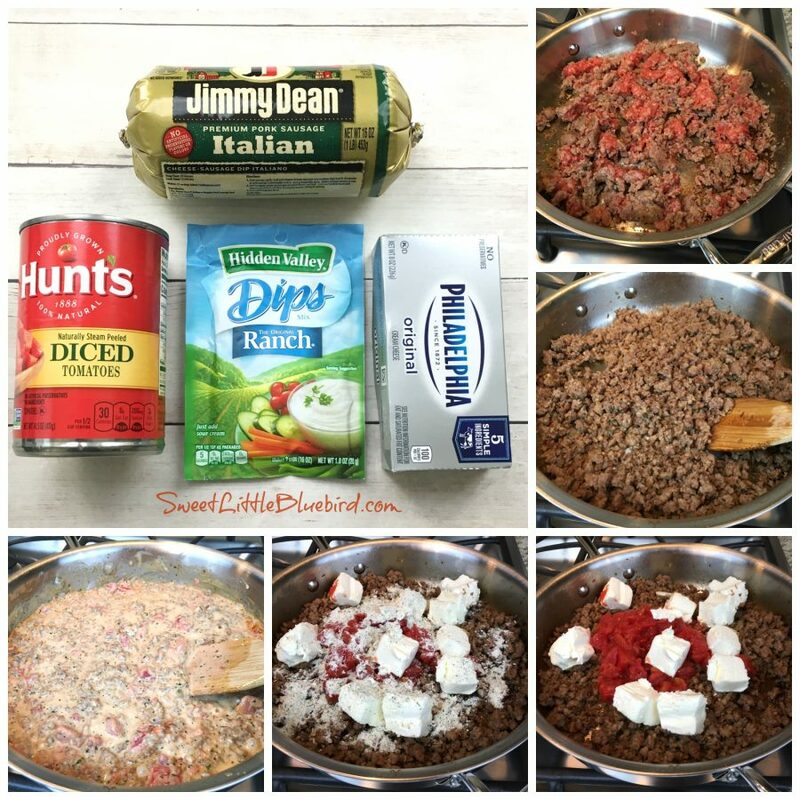 You can lighten them up too, by using light sour cream and cream cheese. In a large bowl cream the cream cheese and sour cream, then add salsa. Mix well. Spread mixture evenly on one side of each tortilla – not too heavy, not too light – roll them up and place seam down on plate or wrap them individually in saran wrap (see tip). Place in fridge until they are chilled and set. Once chilled, remove and slice into desired size – cut in thirds or fourths. 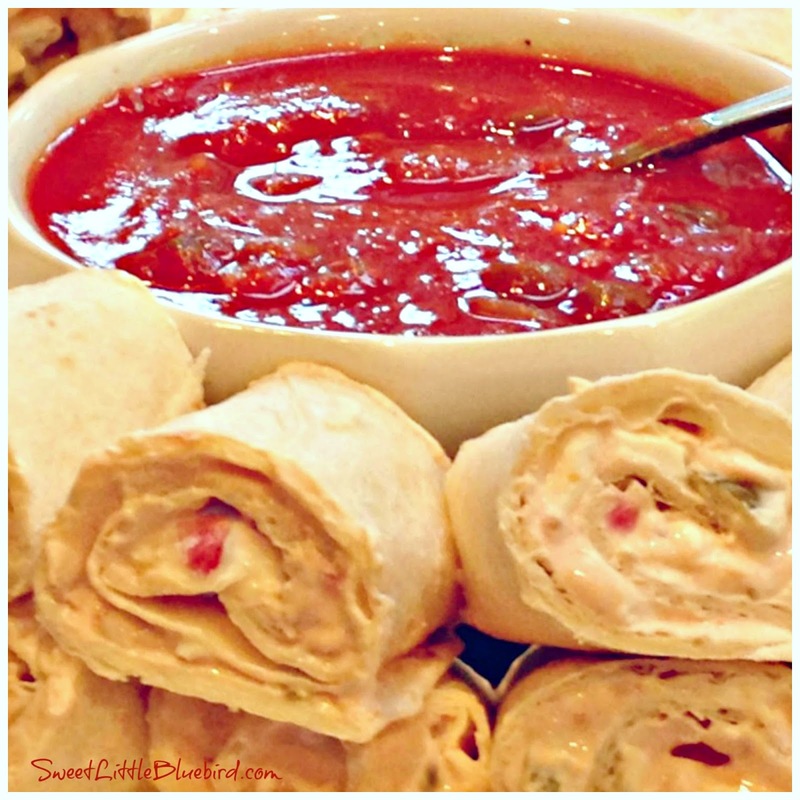 Serve with salsa for dipping – enjoy! To save time, you can make the roll-ups up to 6 hours before serving or make the filling a day in advance, storing in fridge. To hold tortillas in place while setting, wrap them in saran wrap individually. Adding finely shredded cheddar cheese to the mixture is a great addition. 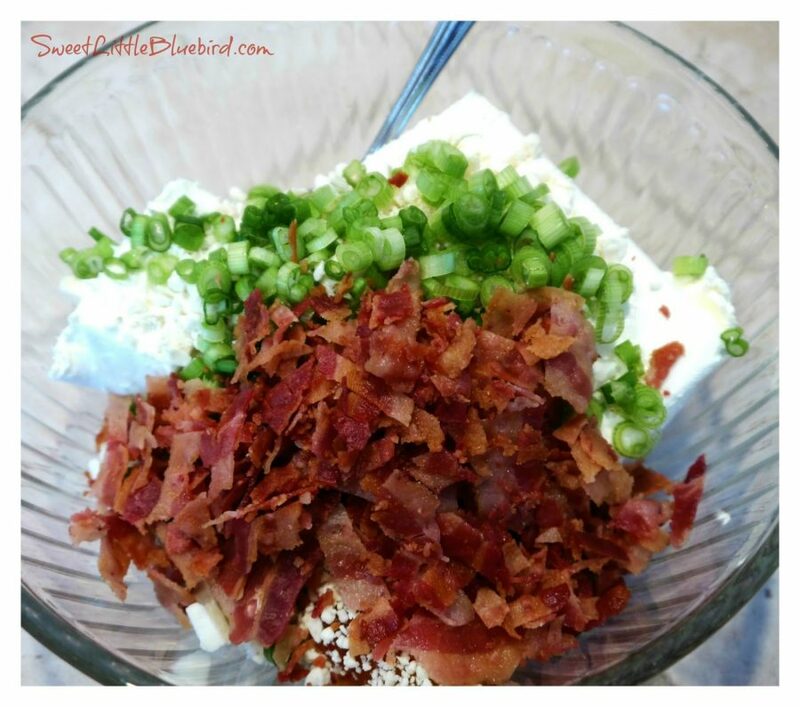 Add chopped jalapenos or diced green chilies for a spicier version. For a more unison/prettier presentation, cut the ends off each side of the roll-ups before cutting into pieces. 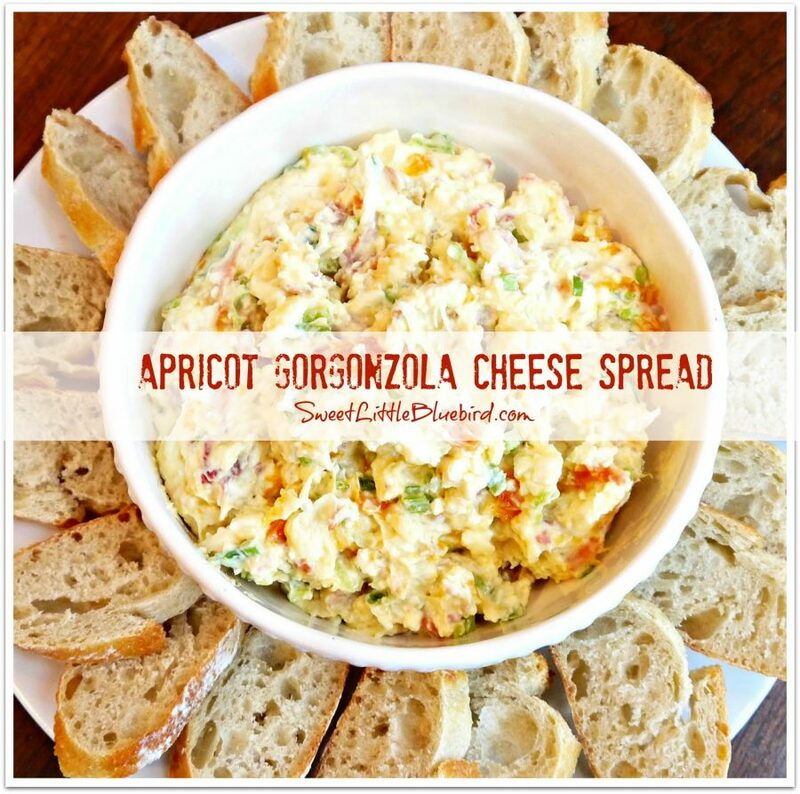 Today’s recipe is a copycat and one of my favorite appetizers – Apricot Gorgonzola Cheese Spread. 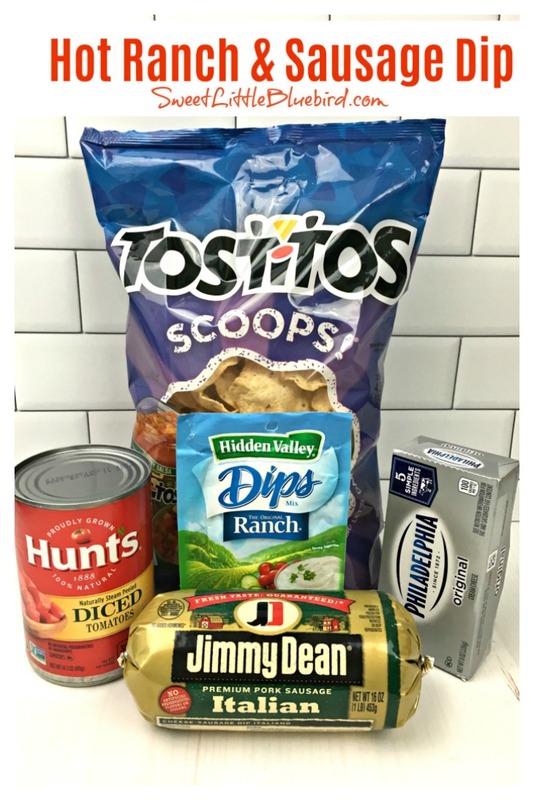 With just a few ingredients (only 5) your family and friends will rave…and I mean rave! 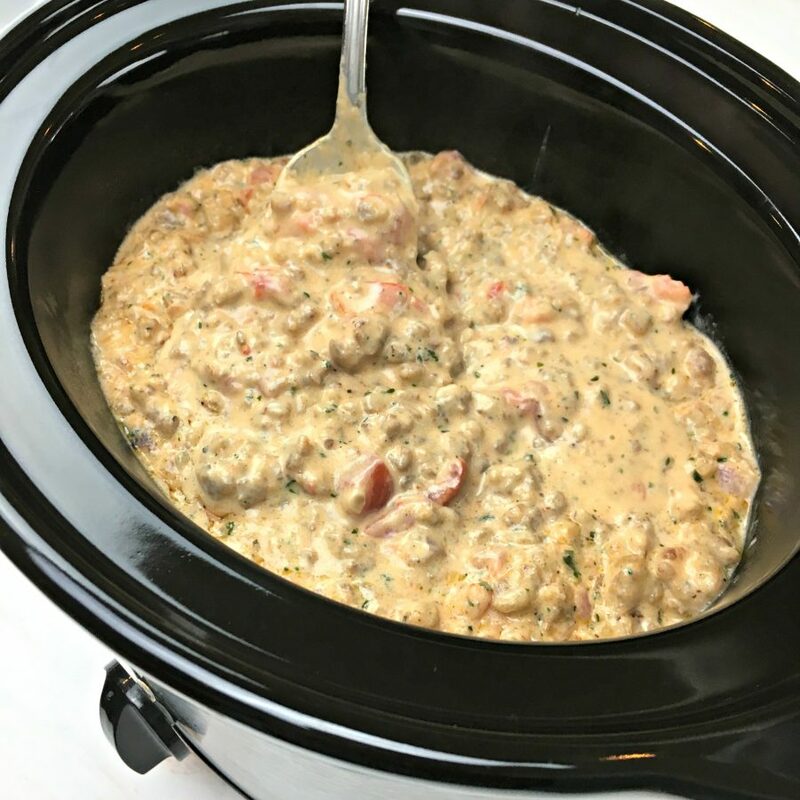 If there is one recipe I think you should try from my recipe box, this would be it! This is my number one appetizer request for gatherings is this spread. My friends and family love this stuff! 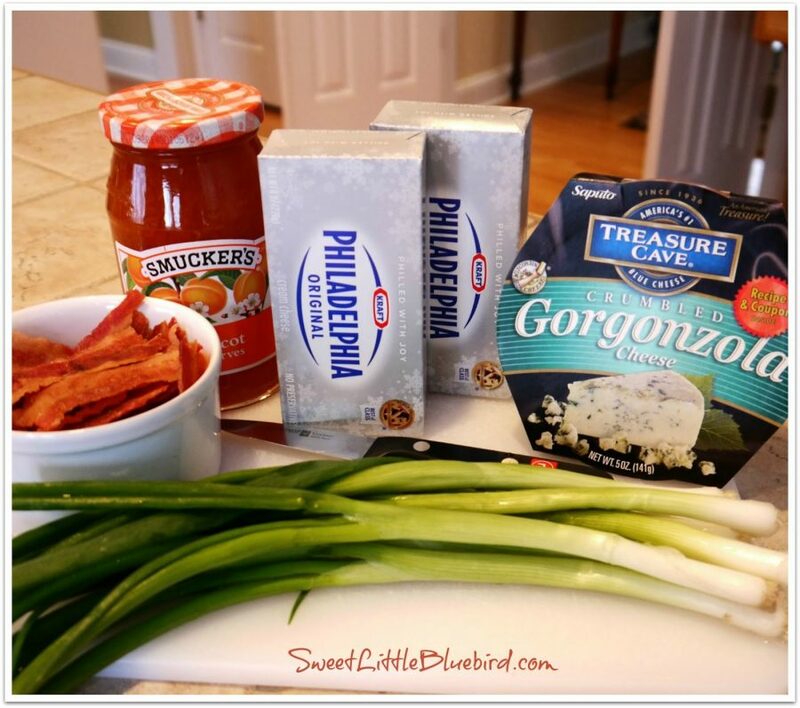 All you need: Apricot preserves, cream cheese, bacon, gorgonzola and green onion – that’s it! No words can describe how yummy this stuff is – to die for. This is my best attempt at recreating The Laundry’s Apricot Gorgonzola Cheese Spread in Fenton, Michigan. If you are ever driving by Fenton, MI, you MUST stop by this place! Whenever I’m in Michigan, I always buy a bunch of this spread, put in a cooler and drive it the few hours home. Since I don’t live in Michigan and crave this stuff, this was as close as I could get to the original…and it’s pretty darn good. You can use less or more green onion. Taste test as you make it, to see what you like best.